Scalpel? DOES ANYONE HAVE A SCALPEL?! Thanks to the government’s total bungling of pretty much everything, Venezuelan inflation rates have skyrocketed to a stunning 43,378 percent in just the last year. Patients are being asked to provide their own scalpels for surgery as hospitals run out of medical supplies and doctors flee gangs overtaking medical facilities. 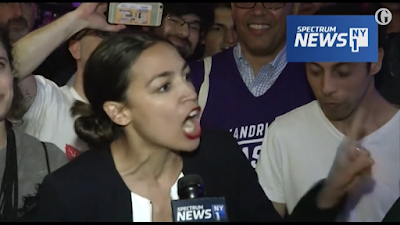 In totally unrelated and not-at-all-terrifying news, a 28-year-old socialist who loves government-run healthcare and wealth redistribution just unseated a 10-term Democratic congressional incumbent in one of New York’s most liberal districts, and reportedly has her eye on the White House. Let in the gangs! LET IN THE MEDICAL ASSISTANT GANGS!